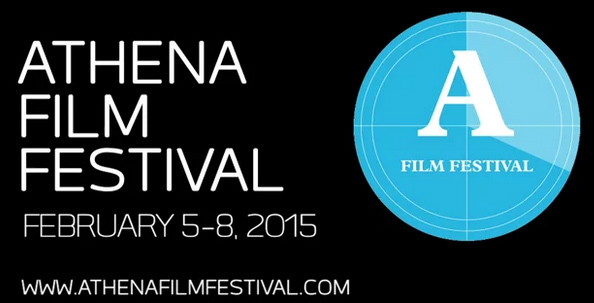 Athena Film Festival Starts on Thursday–plus a chance to win free tickets! The Athena Film Festival, A Celebration of Women and Leadership, opens Thursday night at 7 p.m. at Barnard College with a screening of “Dreamcatcher“, a portrait of former Chicago prostitute who helps other women and girls break the cycle of abuse and exploitation. Now in its fifth year, the four-day festival showcases features, documentaries, panel discussions, workshops and special events. The Athena Film Festival is offering free tickets to a few lucky West Side Words readers! If you’d like to attend the festival and check out one of the great screenings below, please email athenafilmfestoutreach@gmail.com with the subject line “West Side Words ticket giveaway” and be sure to include the name of the film you would like to see and the number of tickets (max. 2). The offer is valid from now until Feb 5 and is first-come-first-serve pending availability so get your email in now! You can see the full program of films and events at their website. the leading cause of death among American women, and explores topics ranging from the challenges of raising five children to her obsession with Barbra Streisand. “Rosie O’Donnell, Dr. Allison Spatz, Dr. Holly Andersen and British Robinson, CEO of the Women’s Heart Alliance will join the audience following the screening on Saturday at 4:30 p.m. to discuss women and heart disease. The discussion will be moderated by Debora Spar, President of Barnard College. Actor and director, Jodie Foster, will also be honored with the Laura Ziskin Lifetime Achievement Award. Three hours outside of Addis Ababa, Hirut, a bright 14-year-old girl is kidnapped on her way home from school. Hirut bravely grabs a rifle and tries to escape, but ends up shooting her would-be husband. For her village, the practice of abduction into marriage is common and one of Ethiopia’s oldest traditions. Meaza Ashenafi, a young lawyer, arrives from the city to represent Hirut and argue that she acted in self-defense. Meaza boldly embarks on a collision course between civil authority and customary law, risking her legal-aid practice to save Hirut’s life. Director Zeresenay Berhane Mehari and Producer, Mehret Mandefro will join the audience for a Q&A after the film. Metzy on Athena Film Festival Starts on Thursday–plus a chance to win free tickets!